Nirmala Sewani made her first prediction when she was 13 years old in Jaipur. She told her 15-year-old neighbor that she would soon run away from home. And a week later the prophecy came true, much to the discomfiture of this intuitive predictor, who was accused of not only having prior information about the plan but also of masterminding it. "But," laughs Nirmala, "this incident only strengthened my belief in myself and my intuition." This mystery woman has been predicting the future by listening to the voice of her patrons using no other input to make the predictions, except her strong intuitive powers since then she is know as best voice vibration expert. Of course, to back her intuition she has acquired the formal knowledge of Palmistry, Astrology and Voice Analysis. 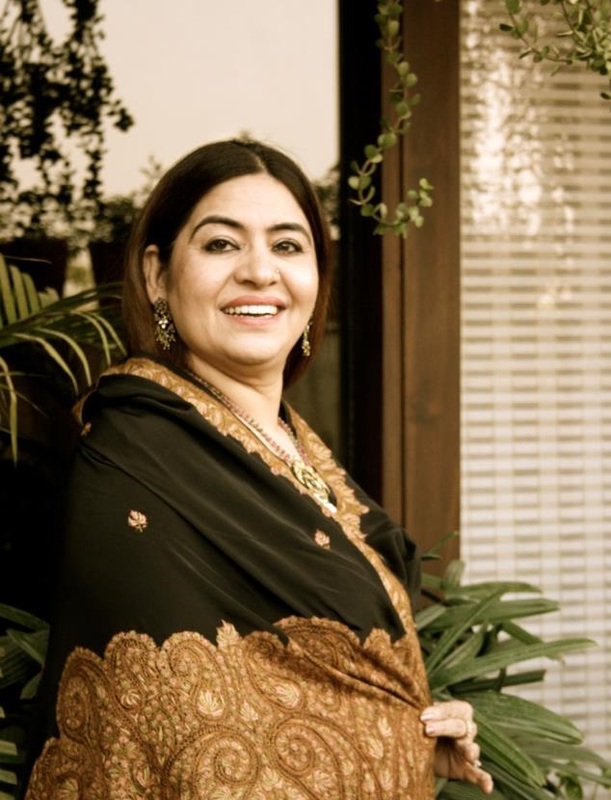 She started her formal practice in 1989 and now this much sought after Soothsayer, whose long list of clientele includes big names in the business and film industry, literary world and politics, runs offices in Jaipur and Gurgaon. Nirmala strongly believes that while astrology employs mathematics to determine the position of the planets, the act of interpreting their influence on human beings is an art that has room for error. Stressing the role of intuition in predicting the future, Nirmala asserts that astrological readings, which ideally should be based on the time of conception, can be about 85 per cent correct. Placing palmistry still lower to astrology for accuracy, as the lines of the hands keep changing, this postgraduate in sociology and philosophy vouches for the technique of decoding voice vibrations, which, she says, can help her make predictions that are 92 to 99 per cent correct. Though a firm believer in destiny, Nirmala asserts that you can modify your future. Occult, according to her, works like medicine to reduce and neutralise the negativity. "The universe is made up of positive and negative energy. So, with the help of Tantra, Mantra and Yantra you can increase the positive forces and decrease the negative ones. So, if a person is destined to tie the knot at the age of 42 years, you can bring forward the marriage to 24 with occult power. Likewise, the effect of a serious accident in the offing can be nullified." She is the only woman occultist in the country who performs as many as 67 kinds of Havans, Nirmala says she prefers the science of the occult for it can be of immense benefit to society. Winner of the Bharat Nirman Award for excelling in the occult, she regularly performs Pujas and Havans and even advocate’s gems to her clients. These remedial measures may not completely ward off the problem but certainly bring relief. Though admitting that her predictions are the daya of Ganpati, this fortune-teller likes to sharpen her intuition by meditating for at least eight to ten hours a day and keeping maun vrat during the four navratras. Vaastu is another subject, which she dwells on to tackle the problems of her clients. She, however, scoffs at the blind acceptance and craze of people for so-called charms such as the Laughing Buddha and wind chimes, considered auspicious by other cultures. "Bamboo shoots may be held propitious by the Chinese, but I would recommend the presence of a kaddi patta tree in the house for health, harsingar for wealth and mogra for mental peace." Nirmala is an extremely versatile woman and has interesting pursuits in her spare time. She is an Indian Classical Music enthusiast and an avid reader of Mantra Science. Her ability to understand and relate these intense subjects to its enduring effect on life is truly inspirational. Her awe - inspiring creativity inspires her to pen down urdu poetry on one hand and on the other, aides her churn up absolutely amazing authentic Rajasthani delectable delights. She uses a simple two step approach to her readings. First she dwells into a holistic diagnostic approach that aims at problem finding. Once she has done that in a span of a couple of seconds, she is ready with the therapeutic solution almost immediately. The kind of solutions that she offers may run deep, however, her speciality lies in excelling in 67 kinds of havans. Her ability to transcendence her contemporaries comes as no surprise when she strategically works out permutations and combinations of the elements of various havans to customize the ideal solution for a problem. It is during these havans that the vedic mantras are chanted aloud with perfect intonation over and over again reverberates in the universe as energy to link the human soul to the cosmic consciousness. This accentuates the positive energy while minimizing the negative forces, almost nullifying its effects. For instance, if an accident that is meant to occur in the future, will definitely happen but the impact of the same can be attenuated considerably. Aiding her first therapeutic solution is the use of gems or stones, each of which symbolizes or connotes a planet according to their positions. Each planet in the galaxy emanates a definitive colored cosmic ray that travels through the cosmos to play an indispensable positive or negative vital role in the present and future lives of all human beings. It is the inadequacy of these rays that tends to create worrisome situations which Nirmala then corrects using the appropriate gems as prisms that radiate the planetary light into human body. However, Nirmala stresses on the fact that these reservoirs of rays should be worn for a certain time, on a particular part of the body, at a particular angle with a particular weight and density. Last but not the least of her 'Upaayes' (Solution) is the charity or 'Daan' of specific fruits and 'mithais' (sweetmeats) to to the needy. Each item donated, is for a special cause, the effect of which can be seen almost immediately. Nirmala points out that the daan is almost equivalent to the havan and the gem therapy, just that the degree of benefit though is extremely minuscule. Nirmala, believes that every aspect of life is created and guided by combinations and permutations of energy. For instance, human life is made up of a mixture of 5 elements,solutions to physical human problems are treated by physicians using the appropriate medication in tandem with diet restrictions. Just as the rule of permutation and combinations apply in the daily lives of the people, Nirmala too uses a suitable mix of the three therapeutic solutions to create a perfect concoction to ward off negativity and enhance positivity in the lives of all that she heals. She however does not deter from stating that she does have the ability to prophecy accurately, however there may be a very small chance that her predictions may not be immaculate, cause at the end of the day, she is not God! Her talent is a gift of God and it is with his blessings and willingness that she stands to help all who reach out to her. INSPIRING SESSIONS UNDER THE GUIDANCE OF NIRMALA SEWANI IN THE LAST ONE MONTH OF 2018! !